My friends requested that I bring some food and since I got great feedback on it from my officemates, here's another food entry. 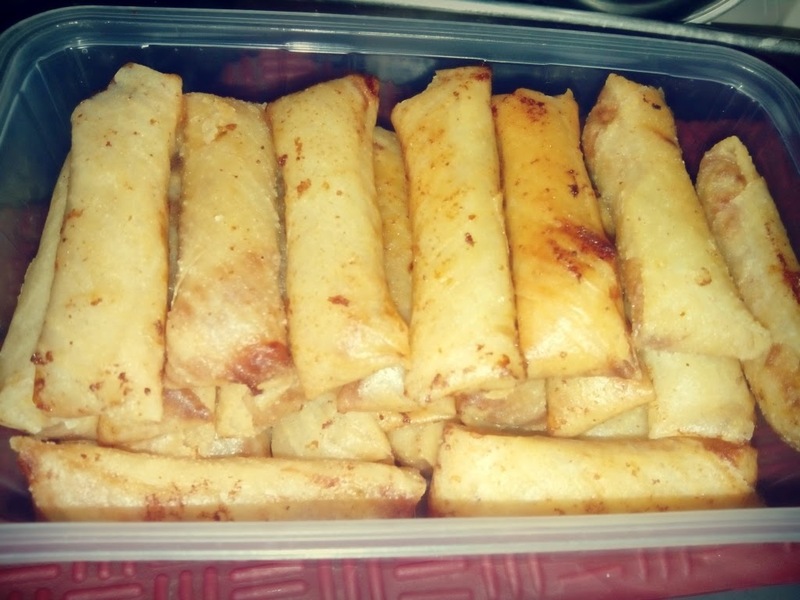 It's called "Lumpiang Shanghai" or Spring rolls. It's a staple food present in birthdays, fiestas, anniversaries even small get-togethers! Being a fan of fried foods, this is a must for me. According to an interview, even model-turned-actress Cameron Diaz loves this dish. 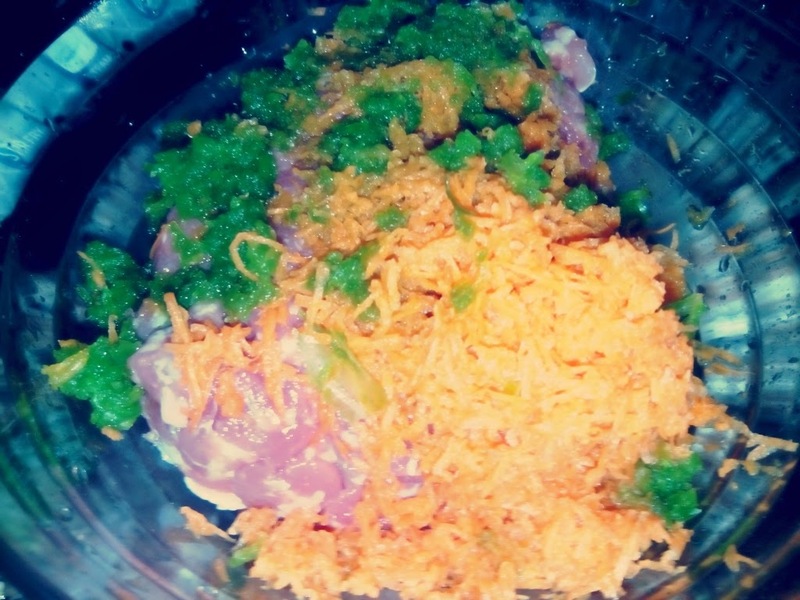 So here's my own version of this crunchy Filipino favorite. 1. In a big bowl, mix the ingredients and knead them until ingredients are evenly combined. 2. Set aside for about 20 minutes. 3. Wrap them using the lumpia wrappers. Don't use too much meat to avoid undercooking it. Tip: 1 to 1 1/2 teaspoon should do. 4. 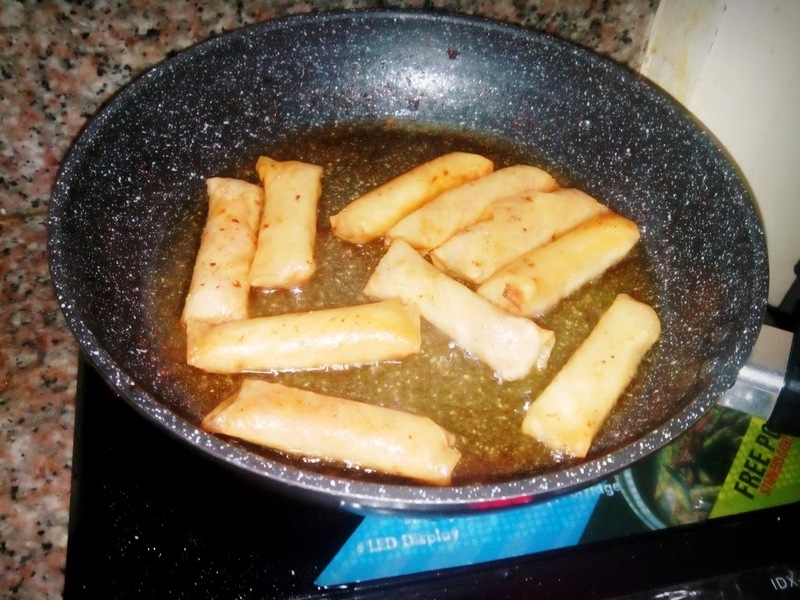 Pour the cooking oil in a deep pan. Make sure that it's hot enough before you drop them in. 6. You can use a strainer or table napkin to remove excess oil. 7. Serve with ketchup or garlic mayo. I was able to make 70 pieces and brought them to work. My teammates loved it, not too salty and they love the cheesy peppery zing! They even requested that I make some more next week. Hmm, I'm starting to become their personal chef. Lol! Anyway, I hope you guys will enjoy this quick recipe!